WHY LIVE IN THE EAST MILLCREEK AREA?? East Millcreek is named for Millcreek Canyon. This is a great location by the foothills of the mountains. I have lived in this location all my life and have chosen to stay in this community because of all the benefits. I have sold numerous homes in this location also over the years. Millcreek Canyon in the 1920's and 1930's had several log mills up the canyon that have eventually closed down. Now the Canyon is used mainly for biking, hiking, running, camping, picnicking, and cross country skiing & snowshoeing. This area also is close to the freeway so you can get anywhere in the Salt Lake Valley within 20 minutes. East Millcreek is also close to Park City, just hop on the freeway and you are there within 30 minutes. You can also get to Big and Little Cottonwood Canyons within 30 minutes. The market in the East Millcreek area is very desired and the real estate holds its value very well. Over the last two years, the real estate value has been going up and continues to climb. IS THERE PLENTY OF SHOPPING? ?There is plenty of shopping with grocery stores within minutes as well as strip malls with various shops. Local grocery stores such as Dans, Smiths and REI are minutes away. There is a new climing facility call Momentum that is just on 3300 South for all the avid climbers and this facility also includes a gym. Planet Fitness is right next door to Momentum for extra bonus. Restaurants such as Cafe Rio, Citus Grill Wing Nut and Wing Coop are just a few of the many populare food stops. great feature to East Millcreek is you are within 10 minutes of Westminster College as well as the University of Utah. WHAT ARE THE SCHOOLS LIKE? The Schools are all in the Granite School District. All the schools from the elementary level to high school rank in the top schools of the district. The parents are very involved in the schools which make the learning climate for the students very compatible. There is a new charter school, the Canyon Rim Academy which also is an outstanding school. The schools join with the community throughout the summer for various outdoor activities to involve the residents such as outdoor movies, farmers markets, bike rodeos, etc. 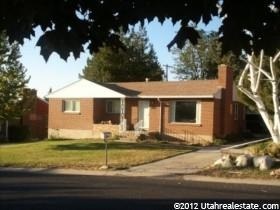 The homes in East Millcreek also are within 10 minutes of Westminister College and University of Utah College.